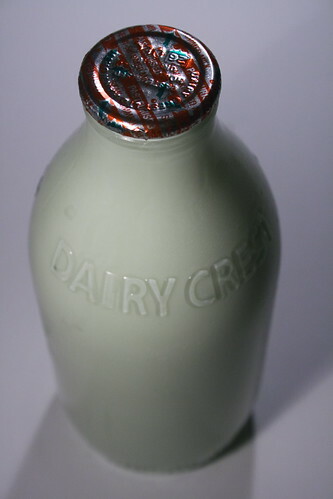 Paula’s observations on the Milk Cure also known as the raw milk fast continue in today’s post. If you are just joining us, Paula Jager CSCS owns a Crossfit studio here in Tampa, FL and writes the fitness posts for this blog. How much longer will Paula continue? She originally wanted to fast for 5 days, but has continued through Day 12 so far. Paula’s raw milk fast diary Days 1-3, Days 4-6, and Days 7-9 were previously posted, so don’t forget to read through those entries if this is something you are considering for yourself. Springtime, after all, is the BEST time to do this fast as the rapidly growing spring grass in the unsprayed pastures where old fashioned, grassfed cows happily graze produces the most nutrient dense milk of the year. Day 10: Whoa!! Floodgates opened this morning. I can count on 1 hand the number of times in my life I have had more that 1 movement of elimination on the same day. TMI again but 3x within 2 hours of waking up. Hmmmm??? Boy am I a lot lighter this morning. Wonder what is happening. Have been hungry today, everything is gone. Drinking lots of milk, hard to get full. Lacked usual strength today in my workout but the lighter bodyweight movements and conditioning felt invigorating and a produced an excellent sweat. Day 11: Must have been a fluke. I was really busy yesterday and did leave a glass of milk out for about 3 or 4 hours and then drank it and we use no air conditioning if that could have caused. All back to normal today thought. Energy still good, very satisfied, not hungry and feel like I could continue for quite some time. What I do miss is having dinner in the evening with my husband. During the day it is actually quite nice to just grab a glass of milk and not have to prepare anything. Day 12: It’s back! Restless night, stomach cramping and diarrhea. Highly unusual for me, do not know if the body is detoxing or I have some kind of bug which I never get! Also woke up with a mild headache which again, is highly unusual. Hubby is experiencing same symptoms as well as some of my clients. I never get these bugs!? My immune system usually fights them right off. I am surprised while doing something that supposedly builds the immune system I come down with a mild bug. Managing to keep some milk in me but have reduced the quantity a tad to a little over 2 quarts today. On the bright side, weight is down to 120.